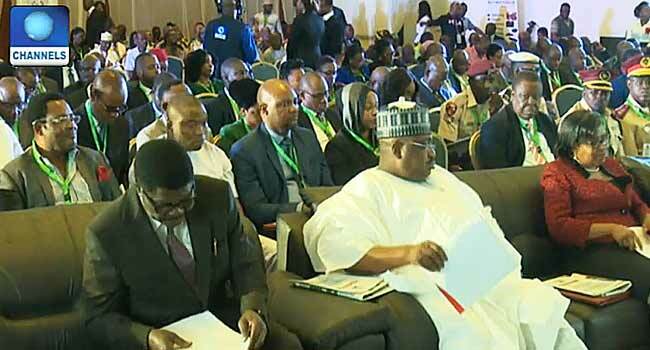 The National Assembly, the Securities and Exchange Commission and other financial regulatory agencies, are holding their second Stakeholders’ Forum on the Capital Market. Some of those at the event include the DG of Debt Management Office, Ms. Patience Oniha, Chairman, Senate Committee on Finance, Senator John Eno and Acting DG of SEC, Ms Mary Uduk. The CEO of NSE, Mr. Oscar Onyema, the Minister of Finance Mrs Kemi Adeosun, Ministers of Agriculture, Economic Planning, Trade and Investment and Works, Power and Housing, state governors, Senate President, Bukola Saraki, are among others who are expected at the event.